Below you will find all the great deals we at Jeffrey Acura have to offer. 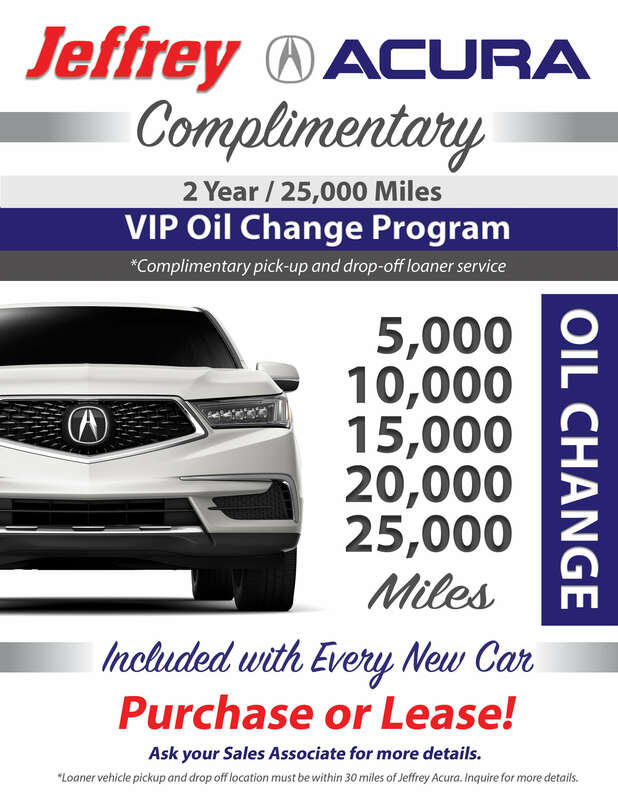 We offer coupons that you can use to save on auto parts and accessories, vehicle service work and maintenance on your Acura TL, MDX, RDX, ILX, and other Acura models. We also service other makes and models of cars, trucks, and SUVs so feel free to bring in your vehicle, even if you didn’t buy it from us. If you are in Roseville, MI or within the greater Detroit, Ann Arbor, Warren, Sterling Heights, Macomb, Eastpointe, and surrounding areas, be sure to check this page often as we are continually updating the coupons we have to offer. Let us help you save on your next scheduled maintenance, tire service, oil change, and other routine services. To talk with one of our qualified team members about any questions you may have about our coupons give us a call at (800) 917-5843 we will be happy to help you.